Geoff is a General Partner at Ascent with 16 years of experience investing in early stage information technology companies. He specializes in opportunities within information security, data analytics, and enterprise infrastructure. 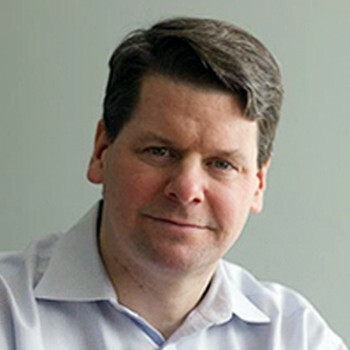 Prior to joining Ascent in 1998, Geoff served as an Investment Analyst in the Boston office of Norwest Venture Partners, where he researched emerging technology markets and worked on successful investments, including Quadritek Systems (acquired by Lucent) and Nashoba Networks (acquired by Cisco). Prior to Norwest, he worked in the audit/business advisory division of Arthur Andersen LLP, where he was sponsored by the firm in an accelerated MBA program.Geoff currently represents Ascent on the boards of ClickFox, Exchange Solutions, Fidelis Security, Vi Labs, WebLayers, and Auction Holdings. His prior Ascent investments include Guardium (acquired by IBM), Network Intelligence (acquired by EMC), Business Layers (acquired by Netegrity), Synchronoss Technologies (NASDAQ: SNCR) and Forefield (acquired by Broadridge). Geoff serves as an independent consultant to the US Department of Defense Venture Catalyst Initiative (DeVenCI).Geoff has a BA in Economics from Hamilton College, an MBA from Boston University, and studied at the London School of Economics. He is a former CPA and current CFA Charterholder.